What can I say, those emails get me every time. 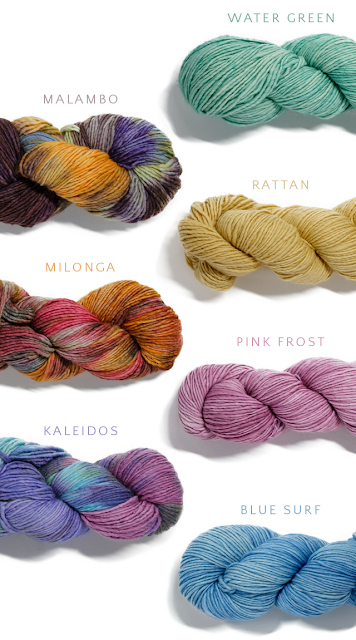 The ones with all the new sample projects, made in the most beautiful colors of high quality yarn! You know, the ones from Purl Soho in The Big Apple, Eat.Sleep.Knit. in Smyrna, Georgia, and the Churchmouse Yarns & Teas newsletter sent from Bainbridge Island, Washington. There are others: Cowgirl Yarn in Laramie, Wyoming (which I would love to visit! ), Personal Threads Boutique in Omaha, Nebraska, and especially my LYS, The Needlecraft Center in Davidson, North Carolina. Good great BEST pal Sharon and I decided to assemble a two-person knit-a-long after seeing the beautiful Malabrigo Merino Worsted yarn featured in the recent email from The Yarnery located in St. Paul, Minnesota. My first inclination would be the Water Green, however it was sold out. Left to my own devices, I next would have chosen Rattan. But thank goodness Sharon got involved and chose Kaleidos for me. 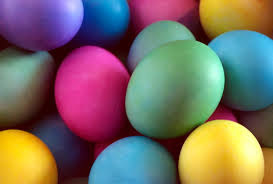 It looks like a basketful of dyed Easter eggs. She selected the gorgeous Milonga for herself. The project is the Inclination Cowl, a one-skein accessory for spring, free with the yarn purchase. They threw in a couple of surprise yummy chocolate pieces! Our goal is to stop, drop, and knit, leaving behind all other works in progress until we have completion. I'll keep you posted on that commitment, and perhaps I can persuade Sharon to allow me to share a photo of her wearing her finished KAL. We both may overshare our KAL progress on Instagram if you want to follow along: @tamknots and @abbysitznmomanitz. Oh dear, a photo? But there is no snow in the future forecast! The newsletters and emails always tempt me, but I've been resisting. Have you seen the temptations at Simply Socks in Fort Wayne, IN? what fun! I love getting emails with sales to tempt me :) If I had bucket loads of money well, I'd buy everything. Love the colors you both chose.